Dynamic .NET TWAIN is a .NET document imaging SDK based on the TWAIN and DirectShow standards. It provides rich, efficient and quick-to-implement APIs for scanner and webcam software development. With our .NET component in C# and VB .NET, you can easily and rapidly embed a robust document scanning and webcam image capture module in your desktop applications. Work for Dynamic .NET TWAIN? Learning about Dynamic .NET TWAIN? "Great tool for simple & Efficient Scanning and Webcam SDK for .NET Applications"
It has compatibility with higher resolution of Webcam in the Webcam Module, OCR accuracy & speed by using a newer library, CreateBarcode method to create a barcode image in the Barcode Generator Module, scanning process is fast. For some instances it throws the error while scanning, may be it can be rectified in further releases. Apart from this I have not observed any other disliking feature. I have used it in a WPF application which uses barcode scanner and a webcam. This tool is perfect for these king of applications. * We monitor all Dynamic .NET TWAIN reviews to prevent fraudulent reviews and keep review quality high. We do not post reviews by company employees or direct competitors. Validated reviews require the user to submit a screenshot of the product containing their user ID, in order to verify a user is an actual user of the product. Hi there! 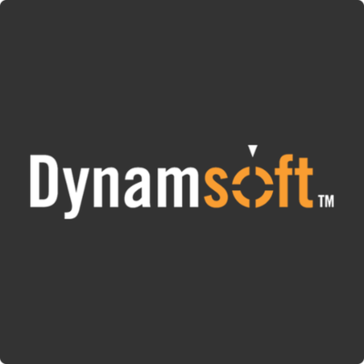 Are you looking to implement a solution like Dynamic .NET TWAIN?